Founded in 2009 by artistic director Mari Meade, the Mari Meade Dance Collective (MMDC) is a contemporary dance company based in NYC. Often collaborating with costume designers, actors, writers, musicians, and scientists, MMDC aims to give audiences a uniquely well-rounded experience, speaking to their physical, emotional, and intellectual sensibilities. Drawing upon anthropological research, Meade uses repetition, rhythm, and character development to create sincere, atmospheric, occasionally irreverent work that is technically challenging. Since its inception, MMDC has presented works through the Kenan Fellowship at Clark Theatre at Lincoln Center; Dance:Access at Danspace St. Mark’s Church; STUFFED at Judson Memorial Church; Battery Dance Festival; Chez Bushwick AIR’s at CPR; FLICfest; Westfest at Westbeth; Splitbill at Dixon Place; Comedy in Dance Festival at Triskelion Arts; Wired Arts Fest; First Look at Brooklyn Ballet; Hatch Performance Series at The Works; and the CHIN Project at the 92nd Street Y. National and international performances include the New Orleans Fringe Festival (LA); Asheville Fringe Festival (NC); REVERBdance Festival (Boston, MA); Katlehong Arts Center (South Africa); and Lake Studios Berlin (Germany). Mari Meade is a NYC-based artist born in California and raised outside New Orleans. In 2009, she relocated to NYC as a recipient of the Kenan Fellowship at Lincoln Center Education and founded Mari Meade Dance Collective (MMDC). Meade was awarded the 2017 University of North Carolina School of the Arts Choreographic Institute Development Residency, was selected for Doug Varone’s Devices: Choreographic Intensive and Mentorship, and was an Artist in Residence at Chez Bushwick (NYC) and Lake Studios Berlin (Germany). Currently, Meade is Triskelion Art’s 2018 Artist in Residence. She has been selected to participate in DEEP (Dancer’s Economic Empowerment Program) at Gibney Dance and will be choreographing a new work on young artists through Amalgamate Dance Company’s Guest Artist Series. An excerpt of Meade’s newest work, dialogue, was the winner of Spoke the Hub’s Winter Follies and was one of ten finalists at McCallum Theatre’s Choreography Festival in 2017. Her company, MMDC, has shown work nationally and internationally. Highlights include: the Clark Theatre at Lincoln Center (NYC); Dance: Access at Danspace/St. Mark’s Church (NYC); STUFFED at Judson Memorial Church (NYC); Battery Dance Festival (NYC); McCallum Theatre’s Choreography Festival (CA); ChopShop: Bodies of Work (WA); Triskelion Arts (Brooklyn); FLICfest (Brooklyn); New Orleans Fringe Festival (LA); Asheville Fringe Festival (NC); Baltimore Dance Invitational (MD); Katlehong Arts Center (South Africa); and Lake Studios Berlin (Germany). She has taught intensives at Kas’ Art Exhibition (South Africa) and Lelia Haller Ballet Classique (New Orleans) and master classes at University of Washington, Cornish College of the Arts, Idyllwild Arts Academy, University of Southern Mississippi, and Asheville Fringe Festival, among others. She is also a teaching artist for New York City Ballet and Dancing Classrooms. She is a graduate of UNC School of the Arts. A native of New Jersey, Marc Witmer studied at the School of the Arts Institute of Chicago, where he received numerous design awards and spent his summers learning more about the fashion industry through various internships in New York. In 2003, Marc moved to New York where he currently lives and works. He has spent over a decade working with and learning from designers like Nicole Miller, Betsey Johnson, Carolina Herrera and Calvin Klein. Since then he has branched out and pursued his passion for makeup, photography and costume design. 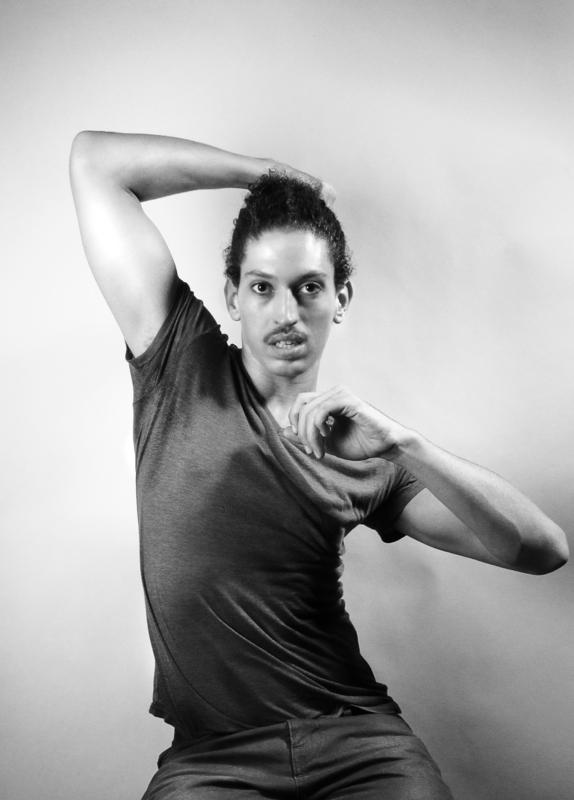 He currently collaborates with companies Project44 and Touchè Pas Dance, in addition to working with MMDC since 2009. Allison Beler, originally from Metairie, Louisiana, holds a BFA in dance performance and choreography from the University of Southern Mississippi. She is a founding member of MMDC and has previously danced with Barbie Diewald, Sarah Berges, and Christy Walsh. Allison is currently a teaching artist for New York City Ballet and Dancing Classrooms. Mat Elder, from Tennessee, received a Bachelor of Science in Theater and Dance from Middle Tennessee State University and a Master of Fine Arts in Choreography from Smith College. Mat’s worked with choreographers Sidra Bell, Alberto Del Saz (Ririe-Woodbury), Travis Gatling, Cynthia Guttierez-Gardner, T Lang, Kate Weare, Project 44, Aaron McGloin, and Bill T Jones dancers Paul Matteson and Leah Cox. 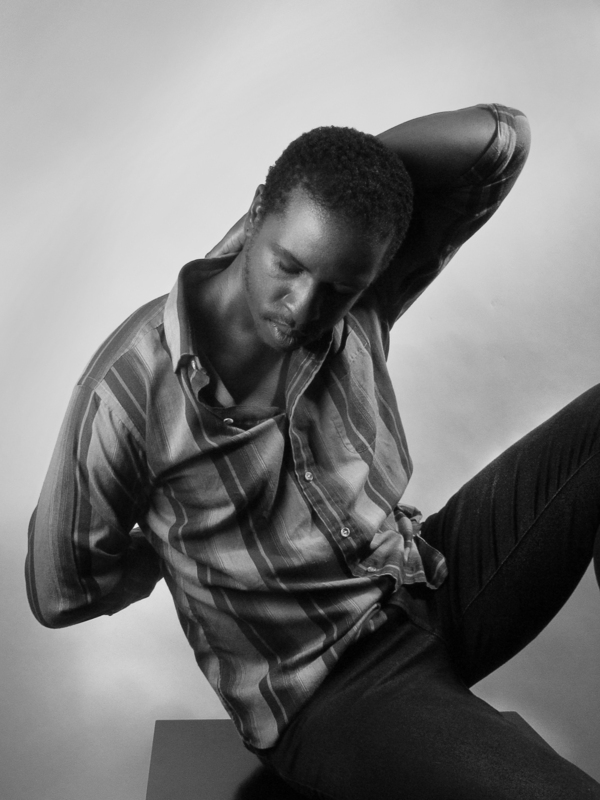 He was named one of the "Top 5 to Watch in D.C.” by Ngoma Dance Magazine (2016). Mat’s choreographic works have been presented nationally including the Kennedy Center for the Performing Arts. Mat currently dances and collaborates with Mari Meade Dance Collective, Christopher K Morgan & Artists, and Ekilibre Dance Company. Breanna Gribble, a founding member of MMDC, began her pre-professional dance training at the Idyllwild Arts Academy. She graduated from SMU in Dallas, TX, with a BFA in dance performance, BS in geophysics, and a math minor. In addition to MMDC, Breanna performs with touche pas and Chocolate Dances and formerly with Caliince Dance, Da-On Dance, and others in her 8 years in New York City. She is proud to contribute as a trustee of the Board of Directors for the Idyllwild Arts Foundation. With great joy, Breanna boasts two loves in her life—dance and science. She is currently pursuing a Master's in urban systems engineering at NYU and is a project manager for the Flood Mitigation and Resiliency Improvements Program at the World Trade Center Site. Misuzu Hara is from Japan. She started learning classical ballet at the age of three and modern jazz dance at fifteen. She pursued her study in dance at Showa Academy of Music College in Japan where she majored in classical ballet. Upon graduation from College, she taught ballet technique to youth. At the same time, she was active as a dancer and performed in many projects in Japan. In 2009, she moved to New York where she has been working with Jennifer Archibald, OUI Danse, and White Wave Dance Company. She has also worked with Nathan Trice, Lindsey Dietz Marchant, Oliver Steele, and Max Stone, among others. Sean Hatch, a New England native, started dancing at the age of 18. After changing majors and transferring schools, he received his BFA from the Hartt School at the University of Hartford under the direction of Stephen Pier. Upon graduating, he moved to New York City, where he joined the Mari Meade Dance Collective (MMDC). He has since performed nationally and internationally working with various artists including ChristinaNoel and the Creature, Erin Dillon and Dancers, Korhan Basaran, Project 44, Yoo and Dancers, and Daniel Gwirtzman. In addition to MMDC, Sean is also a company member of Megan Bascom and dancers. Morgan Hurst began her pre-professional dance training in California, but came to the East coast for school, where she received her BFA in Dance in 2014 from S.U.N.Y. Purchase, where she graduated with the Bert Terborough Award. In addition to MMDC, Morgan has done work for SummerStage with Luca Veggetti, collaborations at The New School with Jean-Baptiste Barriere, and has danced for Nimbus Dance Works, Sum Bones, Touche Pas, Doug Varone, Joanna Kotze, Kyle Abraham, Sidra Bell, John Higginbotham, Laura Aris, and has done a number of projects with the Cunningham Trust. Isaac Owens was born in Landstuhl, Germany, and raised in South Carolina. He studied contemporary dance at the University of North Carolina School of the Arts and The Fine Arts Center of Greenville, SC, under the tutelage of Madame Jan Woodward. Isaac also dances as a full-time member of Periapsis Music and Dance (directed by Jonathan Katz) and is a regular guest artist for XAOC Contemporary Ballet (dir. Eryn Young) and touche pas (dir. Rachel Rizzuto). Isaac first became intrigued by dance watching performers in music videos and movies like The Wiz, Flashdance, and Fame. He constantly imagined himself performing for many audiences when he was younger. Isaac is grateful every day to see that dreams do come true. Or is a professional dancer and versatile performer from Givatayim, Israel. He began his professional training at The Maslool Professional Dancers Training Program, where he performed repertory works by Inbal Pinto, Yasmin Goddar, Ronit Ziv, Barak Marshall, Sharon Eyal, Jiri Kylian, Angelin Preljocaj, Itzik Galili and Michael Getman. He was then accepted to The Ailey School. He was selected to dance with Daniel Gwirtzman Dance Company in "The Oracle" and he also danced in "Pachamama" with Anabella Lanzu Dance Drama. Or finished his second season for Steps on Broadway Repertory Ensemble, where he performed works by: Bradley Shelver, William Forsyth, Sidra Bell, Lar Lubovitch, Mike Esperanza, Jae Man Joo, Julia Ehrstrand, and Francesca Harper. He was also chosen to be a part of several Video Dance Projects: "Shadows with heat" by Orit – Ben Shitri; video dance projects by stringdance+media, choreographed and directed by Christy Walsh; and "Solo Or", choreographed by Michael Getman for the dance film "D for Dimension." Rachel Rizzuto, a founding member of MMDC, graduated from the University of Southern Mississippi with a BFA in dance performance and choreography and a BA in English literature. 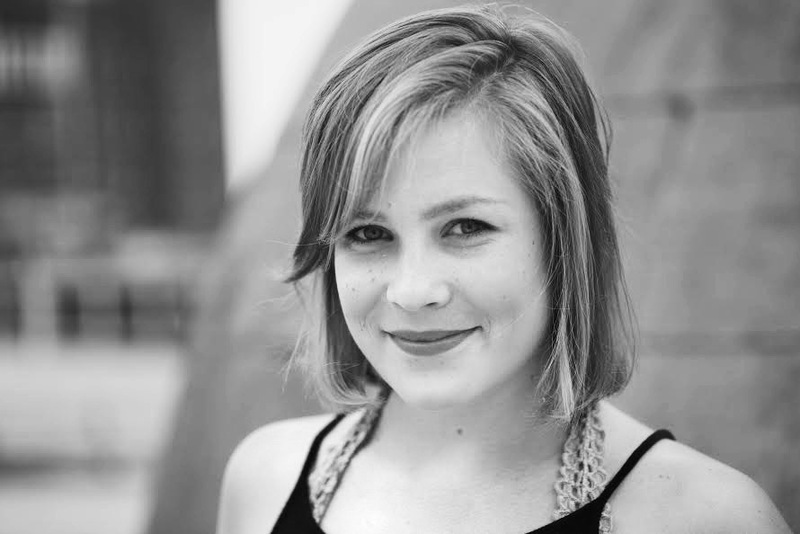 She's an associate editor with Dance Teacher magazine and directs her own project-based dance company, touche pas. This fall, she'll begin pursuing her MFA in dance at the University of Illinois at Champaign-Urbana.